Confinement of Therapeutic Enzymes in Selectively Permeable Polymer Vesicles by Polymerization-Induced Self-Assembly (PISA) Reduces Antibody Binding and Proteolytic Susceptibility; L. D. Blackman, S. Varlas, M. C. Arno, Z. H. Houston, N. L. Fletcher, K. J. Thurecht, M. Hasan, M. I. Gibson and R. K. O’Reilly, ACS Cent. Sci., Article ASAP , DOI:10.1021/acscentsci.8b00168. Evolution of DNA Templated Synthesis as a Tool for Materials Discovery, R. K. O’Reilly, A.J. Turberfield and T.R. Wilks, Acc. Chem. Res., 2017, 50, 2496–2509, DOI: 10.1021/acs.accounts.7b00280. ‡(177) Facile Synthesis of Reversibly Crosslinked Poly(ionic liquid)-type Gels: Recyclable Supports for Organocatalysis by N-Heterocyclic Carbenes, S. Garmendia, R. Lambert, A.-L. Wirotius, J. Vignolle, A. P. Dove, R. K. O’Reilly and D. Taton, European Polymer Journal, 107, 82-88, DOI:10.1016/j.eurpolymj.2018.07.031. ‡(176) Ring-Opening Metathesis Polymerization in Aqueous Media usinga Macroinitiator Approach; J. Foster, S. Varlas, L. Blackman, L. Arkinstall and R. K. O’Reilly, Angewandte Chemie International Edition, 2018, 57(33) , 10672 – 10676, DOI:10.1002/anie.201806719. ‡(175) Confinement of Therapeutic Enzymes in Selectively Permeable Polymer Vesicles by Polymerization-Induced Self-Assembly (PISA) Reduces Antibody Binding and Proteolytic Susceptibility; L. D. Blackman, S. Varlas, M. C. Arno, Z. H. Houston, N. L. Fletcher, K. J. Thurecht, M. Hasan, M. I. Gibson and R. K. O’Reilly, ACS Cent. Sci., 2018, 4, 718-723, DOI:10.1021/acscentsci.8b00168. ‡(166) Evolution of DNA Templated Synthesis as a Tool for Materials Discovery, R. K. O’Reilly, A.J. Turberfield and T.R. Wilks, Acc. Chem. Res., 2017, 50, 2496–2509, DOI: 10.1021/acs.accounts.7b00280. 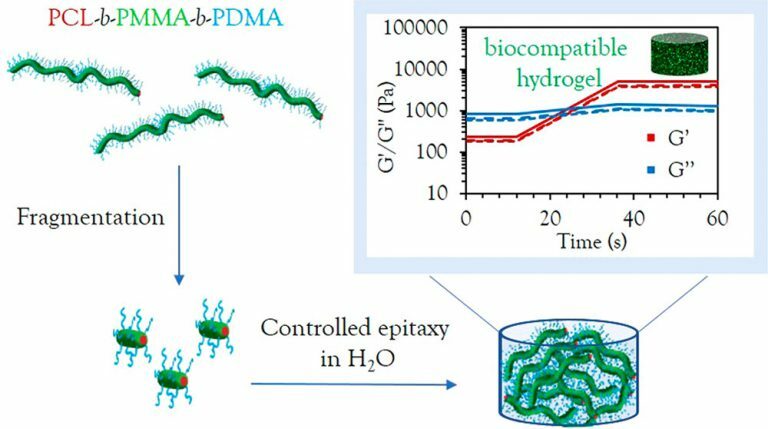 ‡(161) Dispersity Effects in Polymer Self-Assemblies: A Matter of Hierarchical Control, K. E. B. Doncom, L. D. Blackman, D. B. Wright, M. I. Gibson, and R. K. O’Reilly, Chem. Soc. Rev. 2017, 46, 4119-4134, DOI:10.1039/C6CS00818F. ‡(160) One-pot synthesis of micron-sized polybetaine particles; innovative use of supercritical carbon dioxide, H. Willcock, S. P. Bassett, N. A. Birkin, J. Jennings, E. Chapman, R. K. O’Reilly, S. M. Howdle, Polym. Chem., 2017, 8, 4557-4564, DOI: 10.1039/C7PY00455A. ‡(159) Dispersion of Single-Walled Carbon Nanotubes Using Nucleobase-Containing Poly(acrylamide) Polymers, D. Fong, Z. Hua, T. R. Wilks, R. K. O’Reilly and A. Adronov, J. Polym. Sci. Part A: Polym Chem, 2017, 55, 2611-2617, DOI: 10.1002/pola.28652. ‡(134) Degradable Precision Polynorbornenes via Ring-Opening Metathesis Polymerization, D. Moatsou, A. Nagarkar, A. F. M. Kilbinger, R. K. O’Reilly, J. Polym. Sci. Part A: Polym. Chem, 2016, DOI: 10.1002/pola.27964. ‡(118) Strategies for preparing fluorescently-labelled polymer nanoparticles, M. P. Robin, R.K. O’Reilly, Polym. Inter.,2015, 64, 172-184, DOI: 10.1002/pi.4842. ‡(114) Recyclable l-Proline Functional Nanoreactors with Temperature-Tuned Activity Based on CoreShell Nanogels, A. Lu, D. Moatsou, I. Hands-Portman, D.A. Longbottom, R.K. O’Reilly, ACS Macro Letters, 2014, 3, 1235-1239, DOI: 10.1021/mz500704y. ‡(112) Dual effect of thiol addition on fluorescent polymeric micelles: ON-to-OFF emissive switch and morphology transition, A. B. Mabire, M.P. Robin, H. Willcock, A. Pitto-Barry, N Kirby and R.K. O’Reilly, Chem. Commun. 2014, 50, 11492-11495, DOI: 10.1039/c4cc04713c. (111) Precious metal carborane polymer nanoparticles: characterisation of micellar formulations and anticancer activity, N. P. E. Barry, A. Pitto-Barry, I. Romero-Canelón, J. Tran, J. J. Soldevila-Barreda, I. Hands-Portman, C. J. Smith, N. Kirby, A. P. Dove, R. K. O’Reilly and P.J. Sadler, Faraday Discussions. 2014, DOI: 10.1039/c4fd00098f. ‡(110) The pH induced vesicle to micelle morphology transition of a THP-protected polymer , K. E. B. Doncom, H. Willcock and R.K. O’Reilly, J. Polym. Sci. Part A: Polym. Chem, 2014, 52, 3026–3031, DOI: 10.1002/pola.27348. ‡(109) Fluorescent and chemico-fluorescent responsive polymers from dithiomaleimide and dibromomaleimide functional monomers, M.P. Robin and R.K. O’Reilly, Chem. Sci. 2014, 5, 2717-2723, DOI: 10.1039/C4SC00753K. ‡(107) DNA-templated chemistries for sequence controlled oligomer synthesis, P. Milnes, R.K.O’Reilly, ACS Symposium Series, Sequence-Controlled Polymers: Synthesis, Self-Assembly, and Properties, 2014, 1107, Chapter 5, 71-84, DOI: 10.1021/bk-2014-1170.ch005. ‡(103) The analysis of solution self-assembled polymeric nanomaterials, J.P. Patterson, M.P. Robin, C.Chassenieux, O. Colombani, R.K.O’Reilly, Chem Soc Rev, 2014, 2412-2425, DOI: 10.1039/C3CS60454C. ‡(102) Studying the activity of the MacMillan catalyst embedded within hydrophobic crosslinked polymeric nanostructures, B. Moore, D. Moatsou, A. Lu, R.K. O’Reilly, Polymer Chemistry, 2014, 3487-3494, DOI:10.1039/C3PY01734F. 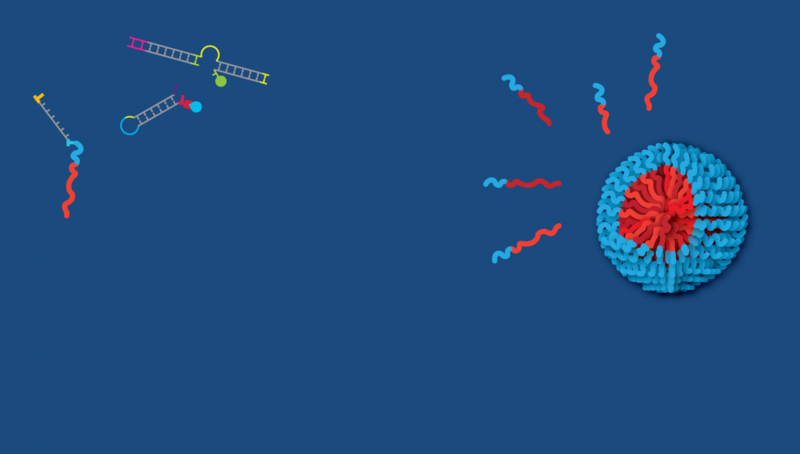 ‡(101) Construction of DNA–polymer hybrids using intercalation interactions, T. Wilks, A. Pitto-Barry, N. Kirby, E. Stulz, R.K. O’Reilly, Chem Commun, 2014, 50, 1338-1340, DOI:10.1039/C3CC48726A. 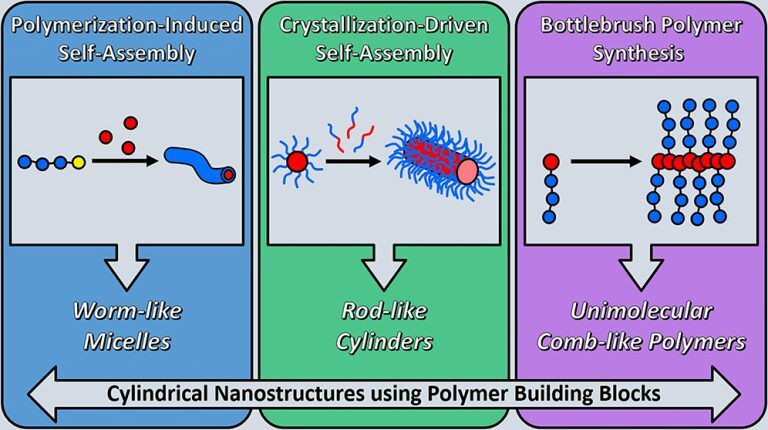 ‡(100) Expanding the scope of the crystallization-driven self-assembly of polylactide-containing polymers, A. Pitto-Barry, N. Kirby, A. P. Dove, R.K. O’Reilly, Polymer Chemistry, 2014, 5, 1427-1436, DOI: 10.1039/C3PY01048A. ‡(99) One–pot synthesis of responsive sulfobetaine nanoparticles by RAFT polymerisation: the effect of branching on the UCST cloud point, H. Willcock, A. Lu, C.F Hansell, E. Chapman, I. Collins, R.K. O’Reilly, Polymer Chemistry, 2014, 5, 1023-1030, DOI: 10.1039/C3PY00998J. (88) Chemically programmed self-sorting of gelator networks, K. L. Morris, L. Chen, J. Raeburn, O. R. Sellick, P. Cotanda, A. Paul, P. C. Griffiths, S. M. King, R. K. O’Reilly, L. C. Serpell and D. J. Adams, Nature Commun, 2013, 4, 1480. DOI:10.1038/ncomms2499. (87) Hybrid inorganic-organic composite nanoparticles from crosslinkable polyfluorenes, J. M. Behrendt , A. B Foster , M. McCairn , H. Willcock , R. K. O’Reilly and M. Turner, J. Mater. Chem. C, 2013, 1, 3297-3304. DOI: 10.1039/C3TC30266K. ‡(86) To Aggregate, or not to Aggregate? Considerations in the Design and Application of Polymeric Thermally-Responsive Nanoparticles, M. I. Gibson and R. K. O’Reilly, Chem. Soc. Rev. 2013, 42, 7204-7213, DOI: 10.1039/C3CS60035A. ‡(85) Polymer chemistry: Not lost in translation, R. K. O’Reilly, Nature Chemistry, 2013, 252, DOI:10.1038/nchem.1603. applicable to ATRP, A. J. Clark, A. E. Collis, D. A. Fox, L. Hepple, N. James, J. P. McDonagh, R.K. O’Reilly, H. Parekh, A. Ross, A.B. Sellars, H. Willcock and P. Wilson, J. Org. Chem., 2012, 17, 6778-6788. ‡(59) Self-Assembled Nanoparticles, R. K. O’Reilly, Supramolecular Chemistry: from Molecules to Nanomaterials, J.W. Steed and P.A. Gale (Eds). John Wiley & Sons Ltd, Chichester, UK, 2012, 3699-3718. Graphic featured on the front cover. (48) Tetrazine-Norbornene ‘Click’ Reactions to Functionalize Degradable Polymers Derived from Lactide, I. A. Barker, D. J. Hall, C. F. Hansell, R. K. O’Reilly, A. P. Dove, Macromol. Rapid Commun., 2011, 32, 1362-1366. DOI: 10.1002/marc.201100324. Highlighted as Editors’ choice Science, July 2011, see link. ‡ (38) Functional polymeric nanostructures prepared by self-assembly and beyond, R.K. O’Reilly, Complex Macromolecular Architectures: Synthesis, Characterization and Self Assembly, John Wiley and Sons, 2011, Chapter 17, 527-560. (14) Where is nano taking us? J. Baumberg, L. Cronin, M. Gee, M. Kearnes, P. MacNaghten, H. Makatsoris, J. Ramsden, R. O’Reilly, M. Webb, Nanotech. Percept., 2007, 3, 3-14.